SeaSpecs Cobalt Sunglasses get FREE SHIPPING only at ShadeOnMe. SeaSpecs are the industry leading extreme sport sunglasses for the avid and occasional enthusiast. 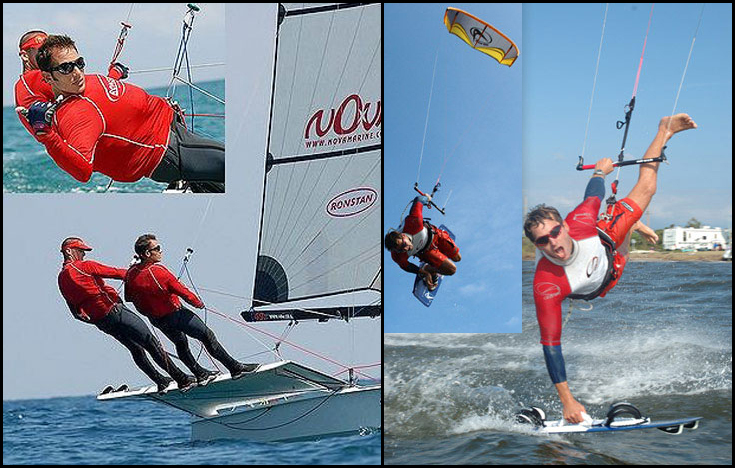 There are many imitations but none hold up to the supreme quality and tech innovations SeaSpecs continues to deliver. The Patented Secure Strap is non-elastic, easily adjustable and COMFORTABLE! The Patented Secure Strap keeps SeaSpecs on your head (where they should be) during; Surfing, Kiteboarding, Windsurfing, Jet Skiing, Snowboarding and all other Extreme Sports! The Patented Polycarbonate Lenses are, Impact Resistant and Polarized. The Lenses provide 100% UVA & UVB Protection to meet or exceed all applicable United States, European, Australian and many other countrys regulations. All SeaSpecs lenses come with this standard AT NO EXTRA CHARGE. Cobalt SeaSpecs are an old favorite in the SeaSpec model lineup. They feature smoke lenses with a glossy cobalt blue frame. They come with a matching microfiber cleaning cloth / carry case. Also only ShadeOnMe.com offers you a Free Sticker to Dress Up your gear at no charge. Great for Kiteboarding, Windsurfing, Surfing, Fishing, and Other Water Sports Activities. Great glasses for being IN the water. These shades are awesome. Stay on your head through the sun, surf, and sand. UV protected as well. Big bang for the buck.